After many years of allowing its employees to replace their corporate-assigned BlackBerry phones with iPhones under a "Bring Your Own Device" policy, Germany's Deutsche Bank is finally officially phasing out all of its BlackBerry devices for new Apple gear. A report by Steven Arons and Gerrit De Vynck for Bloomberg noted that "Some clients had made fun of the bank for still using BlackBerrys." The incremental phasing out of BlackBerry devices was hastened by the fact that BlackBerry itself stopped making its own hardware last September, choosing instead to license the rights to manufacture BlackBerry-branded phones to China's TCL. "Some clients had made fun of the bank for still using BlackBerrys"
The number of BlackBerry OS devices sold globally plummeted from 32.5 million in 2012 to just 0.8 million last year, forcing BlackBerry (formerly known as RIM) to refocus the company on software used to manage fleets of enterprise devices, notably including iPhone and iPad. Eight years ago, in late 2009, Deutsche Bank itself reported on the emerging enterprise trend toward iOS occurring among businesses, back when Apple shipped only around 2 million iPhones to corporate users, accounting for around 7 percent of the enterprise market. 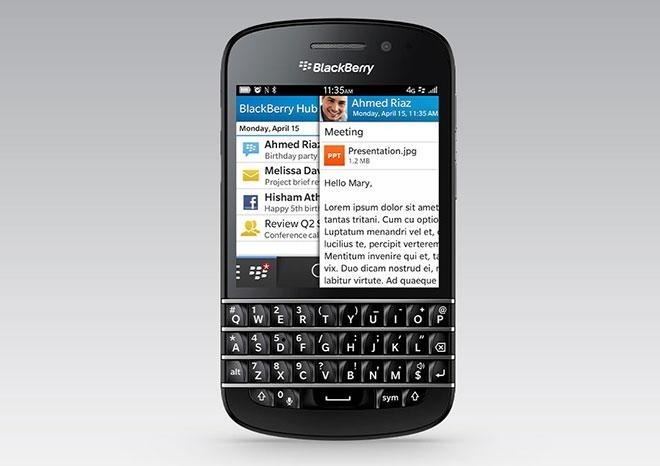 Two years later in early 2011, Deutsche Bank itself announced an "overwhelmingly positive" experience in an internal study of a shift from BlackBerry devices with physical keyboards to iPhones. The study noted that the "iPhone interface is vastly superior in terms of speed and accessibility and prioritizing key emails and we view the Blackberry trackball as archaic and cumbersome," adding that "there is no going back." At the time, migrating to iPhones required leaving BlackBerry Enterprise Server (which did not yet support IOS) for a solution that combined Good Technologies software and Microsoft Exchange Server. Motorola had initially acquired Good Technologies in 2006 in a failed effort to compete with BlackBerry and its BES messaging and device management software; however, the company was unable to make meaningful inroads into BlackBerry's enterprise device business. Motorola later sold off Good's software shortly before Google acquired Motorola's hardware business in late 2011 in a similarly failed effort to design and build its own Android phones for both consumers and enterprise buyers. After separating from Motorola, Good began reporting quarterly statistics showing that enterprise users increasingly favored Apple's mobile platform for their devices—the first real threat to BlackBerry's once dominant position in mobile devices used for business. 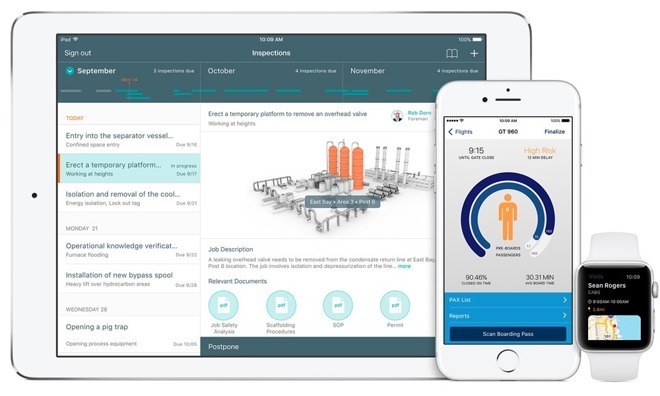 By 2013, Good reported that iPhones accounted for 72 percent of all of its managed phones globally, while iPad represented 90 percent of its managed tablets—largely due to the fact that more than 95 percent of enterprise apps were being deployed for iOS. By September 2015, BlackBerry announced the acquisition of Good Technology in a move to expand support for managing iOS devices. Apple's popularity among enterprise users—driven by BYOD policies that enabled individuals to pick iPhones and iPads over competing devices selected by a firm's IT department—has had a particularly brutal impact on efforts by Microsoft to leverage its existing Windows PC partnerships to sell Windows Phone, Windows Mobile, Windows Tablet PC, UMPC, Slate PC and Surface products to corporate accounts in sustainable volumes. Apple's iOS devices are also clearly differentiated in the enterprise from generic devices running some version of Android or Linux, particularly due to their ease of setup, management and security in comparison to the hardware and software fragmentation and variations seen among Android licensees, despite inconsistent efforts by Google to attempt to target the enterprise. At the same time, the many years that it took for Apple to muscle into the corporate world--once completely dominated by Windows PCs and BlackBerry mobile devices--offers perspective into how difficult it will be for any other company to similarly displace iOS among enterprise users. There are currently not even any credible contenders seeking to rival Apple. Further, Apple isn't sitting still. In its most recent quarterly earnings call, the company noted that Walmart will be deploying 19,000 new iPads for training 225,000 employees across all 50 United States and that clients ranging from Bank of America to Medtronic to Panera Bread have plans to introduce the new 10.5 inch iPad Pro across their organizations. It also highlighted partnerships to bolster network and iOS mobile device security with Cisco; noted that its recent iOS enterprise app partnership with SAP is now being deployed to 47 million users globally; and detailed the European expansion of its enterprise app partnership with Deloitte, now growing in parallel with its initial work with IBM to build custom iOS apps for businesses, an effort which started in 2014.